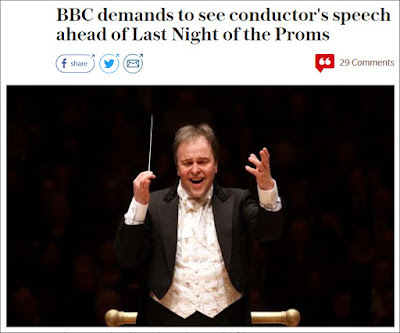 It is mid-August and BBC Proms attendances are struggling. Most genuine music lovers have abandoned the Albert Hall to the clowns of the one-ring music circus that pitches up there every summer. Most of the prized new young audience have given up on the concerts after realising that crowd surfing and laser lights are not on the bill. And most of the Radio 3 audience has been driven away by Petroc Trelawny's relentlessly patronising presentation. So it is time to bring in the spin doctors and serve up some juicy click bait. Last year's bait was applause between movements. But this year something far more appealing has been found - Brexit. So to keep the ailing Proms high on the media agenda yet another Brexit controversy is manufactured. 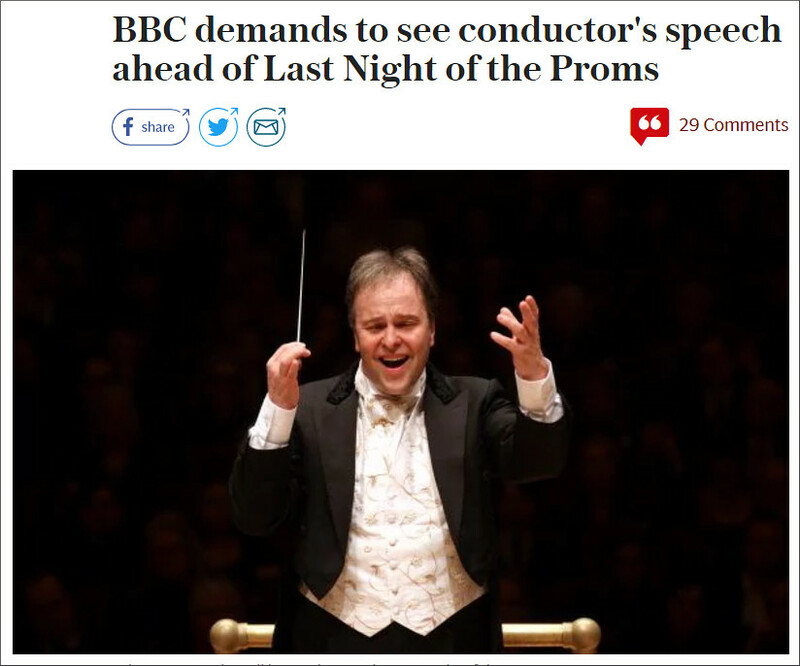 Hopefully when the Proms have finished, the pro and anti-Brexiteers and the malleable music celebrities will move on to another platform. Then we will be able to concentrate once again on the one thing which really matters, the music. No struggling attendances at any Prom I attended. Nor any shortage of young people. Levit and Barenboim said and played what they felt about Brexit (Barenboim simply extending the issue to general lack of education). Problem? What problem? David, it is good that Barenboim and all of us have the right to say what we think. It is also good to have differing points of view. But it is also bad to have circular arguments. So let's just agree to differ on this one, and also on the whole Brexit/Oramo et al thread. Thanks.